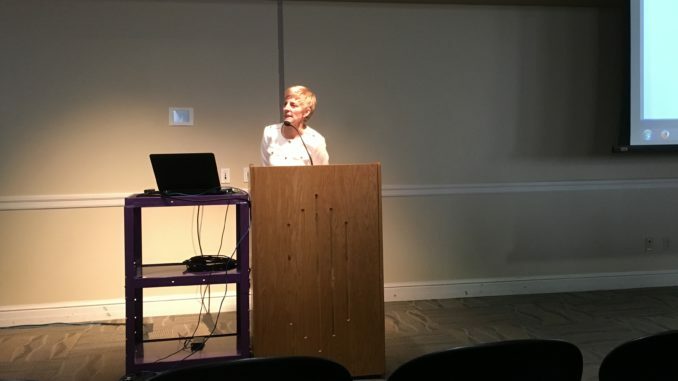 Truman State University President Sue Thomas discussed the University’s planned response to proposed reductions in state funding during her State of the University address Tuesday. Thomas’ address responds to Missouri Gov. Eric Greitens’ proposed reduction in state funding for higher education, which would cut Truman’s core state funding by 7.7 percent. Thomas said in addition to the 7.7 percent core funding cut, 10 percent more would be cut if Truman failed to meet six performance goals set by the Coordinating Board for Higher Education. However, Thomas said Truman met all six performance measures this year. Thomas said shell bills have been introduced in both houses of the Missouri General Assembly to raise the state’s cap on public university tuition. The proposed bills would raise the tuition cap an additional 10 percent above the current limit of 2.1 percent. Thomas said, at this point, the bills are meant to start a discussion and the state is not likely to raise caps to that level. Even if the cap were raised this high, Thomas said the University is sensitive to the needs of its students and would not raise tuition the full 12.1 percent. Thomas said the University is preparing for the worst-case scenario because even if the General Assembly passes a budget with more funding for higher education, it can be withheld by the governor. “If we don’t plan for a 7.73 percent cut, we are being stupid,” Thomas said. Thomas said to address the budget gap, each area of the University will have a target amount of cuts to meet. She said the cuts would not be easy because personnel costs, which cannot be easily changed, take up almost 80 percent of the University’s state funding. Thomas said there is no simple solution for the funding shortfall, and it will take investment in the University to find a solution. She said the University needs to focus on its goals and work together if the University is to remain financially stable. “We have to take a good, hard look at what we are doing and how we are doing, and we have to put our collective minds together,” Thomas said. For more information about Truman’s strategy for handling the budget cuts, pick up a copy of The Index on Feb. 15.